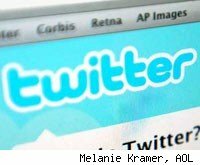 Twitter, the Web wunderkind with a $1 billion valuation, was attacked Thursday night by a group calling itself the "Iranian Cyber Army." The cyber attack was an alarming injection of apparent geopolitics onto the world's biggest social messaging service. The hackers, who took over Twitter's website for several hours, left a somewhat incoherent message that seemed to threaten the U.S.The hacking comes just months after Twitter played a major role in exposing the Iranian government's harsh crackdown on demonstrators following the recent contested national elections in Iran -- elections that many say were rigged by the ruling religious party and its agents. In recent months, Iranian authorities have stepped up their repressive campaign, harassing Iranians worldwide and tracking them via Facebook, Twitter and other services. The hack attack highlights the growing role of the Internet in geopolitics, as state and non-state actors take to the Web to advance their causes. Increasingly, local conflicts -- particularly those involving repressive governments like Iran, China, and Myanmar (Burma) -- have played out on the Web, as the proliferation of broadband and mobile Internet access has given citizens new ways to communicate with supporters and the outside world. Tehran has accused the U.S. and other Western countries of interfering with the elections, which stirred the largest anti-government protests in Iran since the Islamic Revolution of 1979. During the protests, the U.S. government successfully lobbied Twitter to postpone planned maintenance downtime, to allow the flow of information to continue out of Iran, amid bloody street crackdowns and dissident jailings. The website for the Iranian reformist group Mowjcamp also appeared to have been attacked by the same hackers. And, for a brief period, a Google query for Twitter returned a result that said, "This Web Site Has Been Hacked By Iranian Cyber Army." According to Techcrunch, the Google search was accompanied by a message in Farsi, which, when translated, read: "In the name of God, as an Iranian this is a reaction to Twitter's sly interference which was U.S. authorities ordered in the internal affairs of my country." "Do Not Try To Stimulation Iranian Peoples"
The identity of the hackers has not been confirmed. Reza Hashemi, an Iranian-based Web entrepreneur, said he was skeptical that the hack was authentic. "In my opinion, this is a fake deface," Hashemi wrote. "It is not by Iranians and targets different from what is shown on its page. It just wants to show that Iran is pro-terrorism country." Graham Cluley, of Web security firm Sophos, was similarly skeptical, noting that just because someone used such language and images, "does not necessarily mean that hackers from Iran are responsible for the defacement." In a statement on the company's blog late Thursday, Twitter exec Biz Stone confirmed the attack, but did not make reference to the culprits. "As we tweeted a bit ago, Twitter's DNS records were temporarily compromised tonight but have now been fixed," Stone wrote. "As some noticed, Twitter.com was redirected for a while but API and platform applications were working. We will update with more information and details once we've investigated more fully."